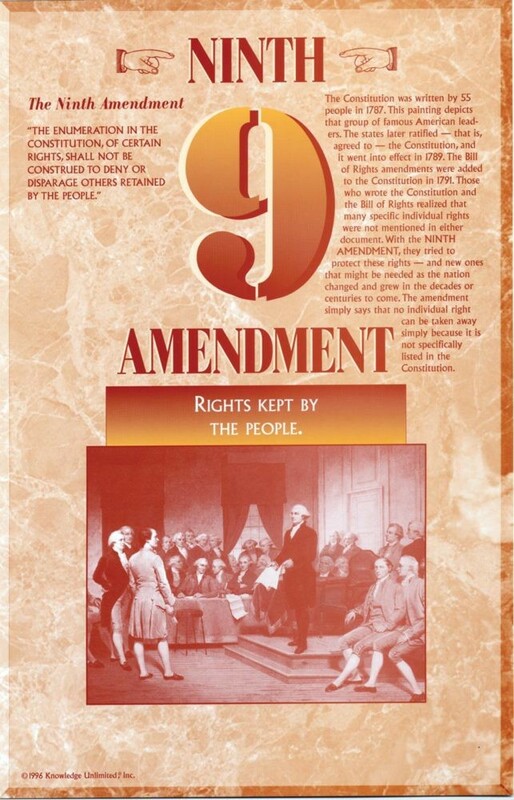 This educational poster includes the text of the Ninth Amendment, a clear explanation of the amendment, and a very brief summary of the rights it protects. Our Founding Fathers understood that the Constitution and Bill of Rights might not mention many of the specific individual rights important to Americans. With the Ninth Amendment, they tried to protect these rights, along with new ones that might be needed in the future. 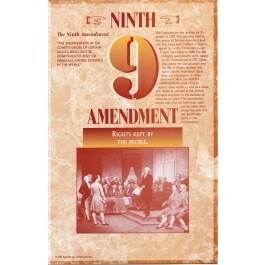 This poster helps students to understand the meaning and importance of this less well-known amendment.